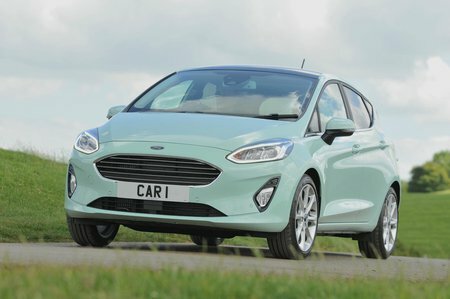 Ford Fiesta 1.0 EcoBoost Active B+O Play Navigation 5dr 2019 Review | What Car? What Car? will save you at least £1,432, but our approved dealers could save you even more. The Ford Fiesta is superb to drive, smart inside and well equipped. It’s one of the very best small cars, but rivals such as the Volkswagen Polo and Mini hatchback are a little more plush. Gets the same equipment as Active 1 but – as you’d guess – benefits from an upgraded Bang & Olufsen sound system. This engine is a cracker. Responsive around town and impressively hushed at motorway speed, it’s a brilliantly flexible unit. Comes with a six-speed manual gearbox as standard. You can opt for an automatic gearbox, but if you do CO2 emissions jump up compared with the manual, while fuel economy is also noticeably worse.